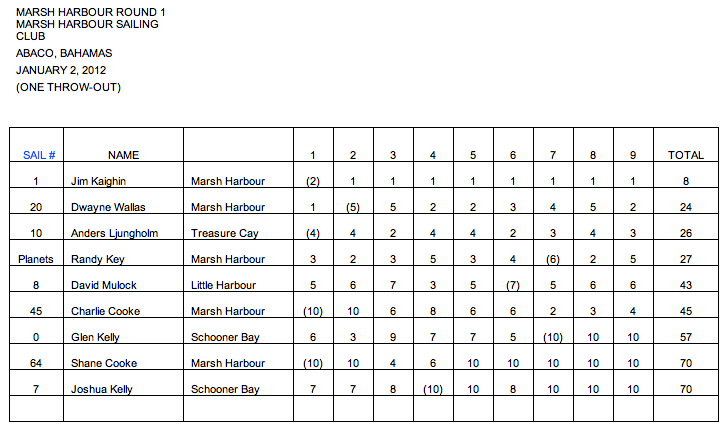 We had a great turnout for the first round of the 2011 RC Laser Tour of Abaco in Marsh Harbour . The approaching cold front held off long enough and we had a beautiful afternoon on Monday. Winds were out of the northwest at around 8-10 with a few gusts and temps were in the 70’s but dropping. Charlie said the water was not too bad for January. With a quick run home and a change of clothes, Charlie only missed 2 races. 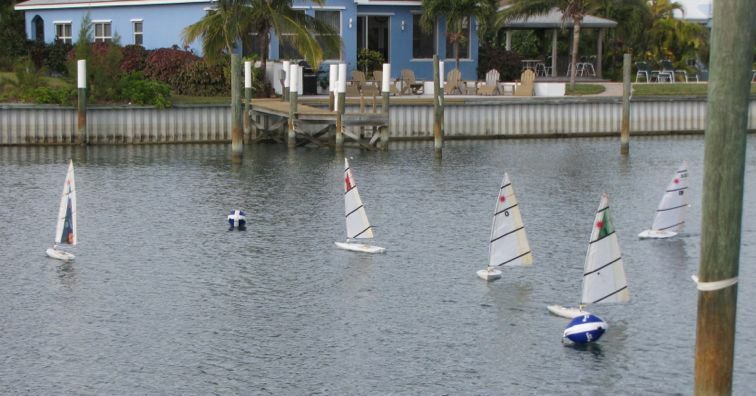 Newcomers Joshua and Glen Kelly from Schooner Bay sailed in their first RC Laser regatta. We hope they will sail with us in the future. Our race committee member, Ylva Ljungholm was on her own for a while until the bar closed and Lenore had no where else to go, so she came and called the line and did an unforgettable job. Thanks very much Lenore and Ylva. Dwayne Wallas won the first race and finished 2nd overall, but Jim Kaighin won the remaining races. Anders Ljungholm finished 3rd and Randy Key was a close 4th. Round 2 will be held in Treasure Cay on January 14th at 3:00 . Anders guarantees that his chase boat will not tip over.